Pourquoi manger des poissons gras ? Quels sont les effets des oméga-3 sur votre santé ? 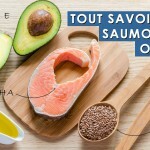 Comment choisir du saumon de qualité ? Quels sont les risques liés à la pollution au mercure ? Comment optimiser ses apports quand on est végétarien ou végétalien ? Avec plus de 120 références scientifiques, je vous propose une vidéo ultra-complète sur le sujet : les oméga-3 n’auront plus de secret pour vous et vous pourrez enfin faire vos courses en toute sérénité. Aben A, Danckaerts M. Omega-3 and omega-6 fatty acids in the treatment of children and adolescents with ADHD. Tijdschr Psychiatr. 2010;52(2):89-97. Amminger GP, Berger GE, Schafer MR, Klier C, Friedrich MH, Feucht M. Omega-3 fatty acids supplementation in children with autism: a double-blind randomized, placebo-controlled pilot study. Biol Psychiatry. 2007 Feb 15;61(4):551-3. Amminger GP, Schäfer MR, Papageorgiou K, et al. Long-chain omega-3 fatty acids for indicated prevention of psychotic disorders: a randomized, placebo-controlled trial. Arch Gen Psychiatry. 2010 Feb;67(2):146-54. Antypa N, Van der Does AJ, Smelt AH, Rogers RD. Omega-3 fatty acids (fish-oil) and depression-related cognition in healthy volunteers. J Psychopharmacol. 2009 Sep;23(7):831-40. Ayerza, R., W. Coates. 2000. Dietary Levels of Chia: Influence on Yolk Cholesterol, Lipid Content and Fatty Acid Composition for Two Strains of Hens. Poultry Science, 79:724-739. Ayerza, R., W. Coates. 2005. Ground Chia Seed and Chia Oil Effects on Plasma Lipids and Fatty Acids in the Rat. Nutrition Research, 25 (2005):995-1003. Ayerza, R.,W. Coates. 2007. Effect of Dietary a-Linolenic Fatty Acid Derived from Choia when Fed as Ground Seed, Whole Seed and Oil on Lipid Content and Fatty Acid Composition of Rat Plasma. Annals of Nutrition and Metabolism, 2007;51:27-34. Barcelo-Coblijn, G., E.J. Murphy, R. Othman, M.H. Moghadasian, T. Kashour, J.K. Friel. 2008. Flaxseed Oil and Fish-Oil Capsule Consumption Alters Human Red Blood Cell N-3 Fatty Acid Composition: A Multiple-Dosing Trial Comparing 2 Sources of N-3 Fatty Acid. American Journal of Clinical Nutrition, 2008;88:801-809. Barcelo-Coblijn, G., E.J. Murphy. 2009. Alpha-linolenic acid and its conversion to longer chang n-3 fatty acids: Benefits for human health and a role in maintaining tissue n-3 fatty acids. Progress in Lipid Research 48(2009):355-374. Barcelos RC, Benvegnu DM, Boufleur N, et al. Effects of omega-3 essential fatty acids (omega-3 EFAs) on motor disorders and memory dysfunction typical neuroleptic-induced: behavioral and biochemical parameter. Neurotox Res. 2010 Apr;17(3):228-37. Bradbury J, Myers SP, Oliver C. An adaptogenic role for omega-3 fatty acids in stress; a randomised placebo controlled double blind intervention study (pilot). Nutr J. 2004 Nov 28;3:20. Brenna, J.T., N, Salem, A.J. Sinclair, S.C. Cunnane. 2009. a-Linolenic Acid Supplementation and Conversion to N-3 Long-Chain Polyunsaturated Fatty Acids in Humans. Prostaglandins, Leukotrienes and Essential Fatty Acids, 80(2009):85-91. Brunner J, Parhofer KG, Schwandt P, Bronisch T. Cholesterol, essential fatty acids, and suicide. Pharmacopsychiatry. 2002 Jan;35(1):1-5. Burdge GC, Wootton SA. Conversion of alpha-linolenic acid to eicosapentaenoic, docosapentaenoic and docosahexaenoic acids in young women. Br J Nutr. 2002;88(4):411-420. Burdge, G.C. and S.A. Wootton. 2002. Conversion of a-linolenic Acid to Eicosapentaenoic, Docosapentaenoic and Docosahexaenoic Acids in Young Women. British Journal of Nutrition (2002), 88:411-420. Burdge, G.C., A.E. Jones, S.A. Wootton, 2002. Eicosapentaenoic and Docosapentaenoic Acids Are the Principal Products a-linolenic Acid Metabolism in Young Men. British Journal of Nutrition (2002); 88:355-363. Burdge, G.C., P.C. Calder. 2005. Conversion of a-linolenic Acid to Longer-chain Polyunsaturated Fatty Acids in Human Adults. Reproduction, Nutrition and Development, 45 (2005):581-597. Buydens-Branchey L, Branchey M, Hibbeln JR. Associations between increases in plasma n-3 polyunsaturated fatty acids following supplementation and decreases in anger and anxiety in substance abusers. Prog Neuropsychopharmacol Biol Psychiatry. 2008 Feb 15;32(2):568-75. Carrie I, Abellan Van Kan G, Rolland Y, Gillette-Guyonnet S, Vellas B. PUFA for prevention and treatment of dementia? Curr Pharm Des. 2009;15(36):4173-85. Chang CY, Ke DS, Chen JY. 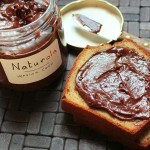 Essential fatty acids and human brain. Acta Neurol Taiwan. 2009 Dec;18(4):231-41. Chiu CC, Huang SY, Chen CC, Su KP. Omega-3 fatty acids are more beneficial in the depressive phase than in the manic phase in patients with bipolar I disorder. J Clin Psychiatry. 2005 Dec;66(12):1613-4. Chiu CC, Su KP, Cheng TC, et al. The effects of omega-3 fatty acids monotherapy in Alzheimer’s disease and mild cognitive impairment: a preliminary randomized double-blind placebo-controlled study. Prog Neuropsychopharmacol Biol Psychiatry. 2008 Aug 1;32(6):1538-44. Clayton EH, Hanstock TL, Hirneth SJ, Kable CJ, Garg ML, Hazell PL. Long-chain omega-3 polyunsaturated fatty acids in the blood of children and adolescents with juvenile bipolar disorder. Lipids. 2008 Nov;43(11):1031-8. Clayton EH, Hanstock TL, Hirneth SJ, Kable CJ, Garg ML, Hazell PL. Reduced mania and depression in juvenile bipolar disorder associated with long-chain omega-3 polyunsaturated fatty acid supplementation. Eur J Clin Nutr. 2009 Aug;63(8):1037-40. Cleland, L.G., M.J. James, M.A. Neumann, M. D’Angelo, R.A. Gibson. 1992. Linoleate Inhibits EPA Incorporation From Dietary Fish-Oil Supplements in Human Subjects. American Journal of Clinical Nutrition, 1992;55:395-9. Cole GM, Ma QL, Frautschy SA. Omega-3 fatty acids and dementia. Prostaglandins Leukot Essent Fatty Acids. 2009 Aug-Sep;81(2-3):213-21. Conklin SM, Gianaros PJ, Brown SM, et al. Long-chain omega-3 fatty acid intake is associated positively with corticolimbic gray matter volume in healthy adults. Neurosci Lett. 2007 Jun 29;421(3):209-12. Dal Bosco A, Castellini C, Bianchi L, Mugnai C. Effect of dietary a-linolenic acid and vitamin E on the fatty acid composition, storage stability and sensory traits of rabbit meat. Meat Sci. 2004 Feb;66(2):407-13. doi: 10.1016/S0309-1740(03)00127-X. Davis BC, Kris-Etherton PM. Achieving optimal essential fatty acid status in vegetarians: Current knowledge and practical implications. Am J Clin Nutr. 2003;78 (3 Suppl):640S-646S. De Vriese SR, Christophe AB, Maes M. In humans, the seasonal variation in poly-unsaturated fatty acids is related to the seasonal variation in violent suicide and serotonergic markers of violent suicide. Prostaglandins Leukot Essent Fatty Acids. 2004 Jul;71(1):13-8. Doughman SD, Krupanidhi S, Sanjeevi CB. Omega-3 fatty acids for nutrition and medicine: Considering microalgae oil as a vegetarian source of EPA and DHA. Curr Diabetes Rev. 2007;3(3):198-203. Dyall SC, Michael GJ, Michael-Titus AT. Omega-3 fatty acids reverse age-related decreases in nuclear receptors and increase neurogenesis in old rats. J Neurosci Res. 2010 Mar 24. Dyall SC, Michael GJ, Whelpton R, Scott AG, Michael-Titus AT. Dietary enrichment with omega-3 polyunsaturated fatty acids reverses age-related decreases in the GluR2 and NR2B glutamate receptor subunits in rat forebrain. Neurobiol Aging. 2007 Mar;28(3):424-39. Eckert GP, Franke C, Noldner M, et al. Plant derived omega-3-fatty acids protect mitochondrial function in the brain. Pharmacol Res. 2010 Mar;61(3):234-41. Ezaki, O., M. Takahashi, T. Shigematsu, K. Shimamura, J. Kimura, H. Ezaki, T. Gotoh. 1999. Long-Term Effects of Dietary a-Linolenic Acid from Perilla Oil on Serum Fatty Acids Composition and on the Risk Factors of Coronary Heart Disease in Japanese Elderly Subjects. Journal of Nutritional Science and Vitaminology, 45(6):759-772. Fedorova I, Salem N, Jr. Omega-3 fatty acids and rodent behavior. Prostaglandins Leukot Essent Fatty Acids. 2006 Oct-Nov;75(4-5):271-89. Fiala M. Re-balancing of inflammation and abeta immunity as a therapeutic for Alzheimer’s disease-view from the bedside. CNS Neurol Disord Drug Targets. 2010 Apr;9(2):192-6. Fiala M. Re-balancing of inflammation and abeta Immunity as a therapeutic for Alzheimer’s disease-view from the bedside. CNS Neurol Disord Drug Targets. 2010 Mar 5. Finnegan, Y.E., A.M. Minihane, E.C. Leight-Firbank, S. Kew, G.W. Meijer, R. Muggli, P.C. Calder, C. M. Williams. 2003. Plant- and Marine-Derived n-3 Polyunsaturated Fatty Acids Have Differential Effects on Fasting and Postprandial Blood Lipid Concentrations and on the Susceptibility of LDL to Oxidative Modification in Moderately Hperlipidemic Subjects. American Journal of Clinical Nutrition, 2003;77:783-95. Florent-Bechard S, Desbene C, Garcia P, et al. The essential role of lipids in Alzheimer’s disease. Biochimie. 2009 Jun;91(6):804-9. Fotuhi M, Mohassel P, Yaffe K. Fish consumption, long-chain omega-3 fatty acids and risk of cognitive decline or Alzheimer disease: a complex association. Nat Clin Pract Neurol. 2009 Mar;5(3):140-52. Gesch CB, Hammond SM, Hampson SE, Eves A, Crowder MJ. Influence of supplementary vitamins, minerals and essential fatty acids on the antisocial behaviour of young adult prisoners. Randomised, placebo-controlled trial. Br J Psychiatry. 2002 Jul;181:22-8. Glaser, C., J. Heinrich, B. Koletzko. 2010. Role of FADS1 and FADS2 Polymorphisms in Polyunsaturated Fatty Acid Metabolism. Metabolism, 2010, 59, 993-999. Goyens, P. L.L., M.E. Spilker, P.L. Zock, M.B. Katan and R.P. Mensink. 2006. Conversion of a-linolenic Acid in Humans is Influenced by the Absolute Amounts of a-linolenic Acid and Linoleic Acid in the Diet and Not by Their Ratio. American Journal of Clinical Nutrition, 2006;84:44-53. Grandjean P, Weihe P, White RF, Debes F, Araki S, Yokoyama K, Murata K, Sørensen N, Dahl R, Jørgensen PJ. Cognitive deficit in 7-year-old children with prenatal exposure to methylmercury. Neurotoxicol Teratol. 1997 Nov-Dec;19(6):417-28. Hamilton MC, Hites RA, Schwager SJ, Foran JA, Knuth BA, Carpenter DO. 2005. Lipid Composition and Contaminants in Farmed and Wild Salmon. Environmental Science and Technology 39(22):8622-8629. Harnack K, Andersen G, Somoza V. Quantitation of alpha-linolenic acid elongation to eicosapentaenoic and docosahexaenoic acid as affected by the ratio of n6/n3 fatty acids. Nutr Metab (Lond). 2009;6:8. Harper, C.R., M.J. Edwards, A.P. DeFilippis, T.A. Jacob son. 2005. Flaxseed Oil Increases the Plasma Concentrations of Cardioprotective (n-3) Fatty Acids in Humans. The Journal of Nutrition, 136:83-87. Heinrichs SC. Dietary omega-3 fatty acid supplementation for optimizing neuronal structure and function. Mol Nutr Food Res. 2010 Apr;54(4):447-56. Hibbeln J.R., Davis J.M. Considerations regarding neuropsychiatric nutritional requirements for intakes of omega-3 highly unsaturated fatty acids. Prostaglandins Leukot. Essent. Fatty Acids. 2009;81:179–186. Hibbeln J.R., Davis J.M., Steer C., Emmett P., Rogers I., Williams C., Golding J. Maternal seafood consumption in pregnancy and neurodevelopmental outcomes in childhood (ALSPAC study): An observational cohort study. Lancet. 2007;369:578–585. Hibbeln JR, Davis JM, Steer C, et al. Maternal seafood consumption in pregnancy and neurodevelopmental outcomes in childhood (ALSPAC study): an observational cohort study. Lancet. 2007 Feb 17;369(9561):578-85. Hibbeln JR, Ferguson TA, Blasbalg TL. Omega-3 fatty acid deficiencies in neurodevelopment, aggression and autonomic dysregulation: opportunities for intervention. Int Rev Psychiatry. 2006 Apr;18(2):107-18. Hirashima F, Parow AM, Stoll AL, et al. Omega-3 fatty acid treatment and T(2) whole brain relaxation times in bipolar disorder. Am J Psychiatry. 2004 Oct;161(10):1922-4. Horrobin, D.F. 1993. Fatty Acid Metabolism in Health and Disease: the role of ?-6-Desaturase. American Journal of Clinical Nutrition, 1993; 57:732S-737S. Huan M, Hamazaki K, Sun Y, et al. Suicide attempt and n-3 fatty acid levels in red blood cells: a case control study in China. Biol Psychiatry. 2004 Oct 1;56(7):490-6. Innis SM. Dietary omega 3 fatty acids and the developing brain. Brain Res. 2008 Oct 27;1237:35-43. Irving GF, Freund-Levi Y, Eriksdotter-Jonhagen M, et al. Omega-3 fatty acid supplementation effects on weight and appetite in patients with Alzheimer’s disease: the omega-3 Alzheimer’s disease study. J Am Geriatr Soc. 2009 Jan;57(1):11-7. Jazayeri S, Tehrani-Doost M, Keshavarz SA, et al. Comparison of therapeutic effects of omega-3 fatty acid eicosapentaenoic acid and fluoxetine, separately and in combination, in major depressive disorder. Aust N Z J Psychiatry. 2008 Mar;42(3):192-8. Kidd PM. Omega-3 DHA and EPA for cognition, behavior, and mood: clinical findings and structural-functional synergies with cell membrane phospholipids. Altern Med Rev. 2007 Sep;12(3):207-27. Krabbendam L., Bakker E., Hornstra G., van Os J. Relationship between DHA status at birth and child problem behaviour at 7 years of age. Prostaglandins Leukot. Essent. Fatty Acids. 2007;76:29–34. Kraguljac NV, Montori VM, Pavuluri M, Chai HS, Wilson BS, Unal SS. Efficacy of omega-3 fatty acids in mood disorders – a systematic review and metaanalysis. Psychopharmacol Bull. 2009;42(3):39-54. Kusbak R, Drapeau C, van Cott E, Winter H. Blue-green algaaphanizomenon flos-aquae as a source of dietary polyunsaturated fatty acids and a hypocholesterolemic agent. Presented at: Annual Meeting of the American Chemical Society; March 21-25, 1999; Anaheim, Calif.
Laasonen M, Hokkanen L, Leppamaki S, Tani P, Erkkila AT. Project DyAdd: Fatty acids and cognition in adults with dyslexia, ADHD, or both. Prostaglandins Leukot Essent Fatty Acids. 2009 Jul;81(1):79-88. Liperoti R, Landi F, Fusco O, Bernabei R, Onder G. Omega-3 polyunsaturated fatty acids and depression: a review of the evidence. Curr Pharm Des. 2009;15(36):4165-72. London B, Albert C, Anderson ME, et al. Omega-3 fatty acids and cardiac arrhythmias: prior studies and recommendations for future research: a report from the National Heart, Lung, and Blood Institute and Office Of Dietary Supplements Omega-3 Fatty Acids and their Role in Cardiac Arrhythmogenesis Workshop. Circulation. 2007;116(10):e320-335. Lucas M, Asselin G, Merette C, Poulin MJ, Dodin S. Ethyl-eicosapentaenoic acid for the treatment of psychological distress and depressive symptoms in middle-aged women: a double-blind, placebo-controlled, randomized clinical trial. Am J Clin Nutr. 2009 Feb;89(2):641-51. Ma QL, Yang F, Rosario ER, et al. Beta-amyloid oligomers induce phosphorylation of tau and inactivation of insulin receptor substrate via c-Jun N-terminal kinase signaling: suppression by omega-3 fatty acids and curcumin. J Neurosci. 2009 Jul 15;29(28):9078-89. Maes M, Christophe A, Delanghe J, Altamura C, Neels H, Meltzer HY. Lowered omega3 polyunsaturated fatty acids in serum phospholipids and cholesteryl esters of depressed patients. Psychiatry Res. 1999 Mar 22;85(3):275-91. McNamara RK, Carlson SE. Role of omega-3 fatty acids in brain development and function: potential implications for the pathogenesis and prevention of psychopathology. Prostaglandins Leukot Essent Fatty Acids. 2006 Oct-Nov;75(4-5):329-49. McNamara RK, Hahn CG, Jandacek R, et al. Selective deficits in the omega-3 fatty acid docosahexaenoic acid in the postmortem orbitofrontal cortex of patients with major depressive disorder. Biol Psychiatry. 2007 Jul 1;62(1):17-24. McNamara RK, Jandacek R, Rider T, et al. Deficits in docosahexaenoic acid and associated elevations in the metabolism of arachidonic acid and saturated fatty acids in the postmortem orbitofrontal cortex of patients with bipolar disorder. Psychiatry Res. 2008 Sep 30;160(3):285-99. McNamara RK. Evaluation of docosahexaenoic acid deficiency as a preventable risk factor for recurrent affective disorders: current status, future directions, and dietary recommendations. Prostaglandins Leukot Essent Fatty Acids. 2009 Aug-Sep;81(2-3):223-31. Mincke E, Cosyns P, Christophe AB, De Vriese S, Maes M. Lower omega-3 polyunsaturated fatty acids and lower docosahexaenoic acid in men with pedophilia. Neuro Endocrinol Lett. 2006 Dec;27(6):719-23. Montgomery P, Richardson AJ. Omega-3 fatty acids for bipolar disorder. Cochrane Database Syst Rev. 2008 (2):CD005169. Morley JE. Nutrition and the brain. Clin Geriatr Med. 2010 Feb;26(1):89-98. Nemets H, Nemets B, Apter A, Bracha Z, Belmaker RH. Omega-3 treatment of childhood depression: a controlled, double-blind pilot study. Am J Psychiatry. 2006 Jun;163(6):1098-100. Noaghiul S, Hibbeln JR. Cross-national comparisons of seafood consumption and rates of bipolar disorders. Am J Psychiatry. 2003 Dec;160(12):2222-7. O’Brien JS, Sampson EL. Lipid composition of the normal human brain: gray matter, white matter, and myelin. J Lipid Res. 1965 Oct;6(4):537-44. Okamoto M, Mitsunobu F, Ashida K, et al. Effects of dietary supplementation with n-3 fatty acids compared with n-6 fatty acids on bronchial asthma. Intern Med. 2000;39(2):107-111. Osher Y, Bersudsky Y, Belmaker RH. Omega-3 eicosapentaenoic acid in bipolar depression: report of a small open-label study. J Clin Psychiatry. 2005 Jun;66(6):726-9. Pawlosky, R.J., J.R. Hibbeln, J.A. Novotny, N. Salem. 2001. Journal of Lipid Research, 42:1257-1265. Peet M, Murphy B, Shay J, Horrobin D. Depletion of omega-3 fatty acid levels in red blood cell membranes of depressive patients. Biol Psychiatry. 1998 Mar 1;43(5):315-9. Richards M.P., Pettitt P.B., Stiner M.C., Trinkaus E. Stable isotope evidence for increasing dietary breadth in the European mid-Upper Paleolithic. Proc. Natl. Acad. Sci. USA. 2001;98:6528–6532. Robinson JG, Ijioma N, Harris W. Omega-3 fatty acids and cognitive function in women. Womens Health (Lond Engl). 2010 Jan;6(1):119-34. Söderberg M1, Edlund C, Kristensson K, Dallner G. Fatty acid composition of brain phospholipids in aging and in Alzheimer’s disease. 1991 Jun;26(6):421-5. Stark, A.H., M.A. Crawford, R. Reifen. 2008. Update on Alpha-Linolenic Acid. Nutrition Reviews,66(6):326-332. Stoll AL, Severus WE, Freeman MP, et al. Omega 3 fatty acids in bipolar disorder: a preliminary double-blind, placebo-controlled trial. Arch Gen Psychiatry. 1999 May;56(5):407-12. Su HM. Mechanisms of n-3 fatty acid-mediated development and maintenance of learning memory performance. J Nutr Biochem. 2010 May;21(5):364-73. Su KP, Huang SY, Chiu CC, Shen WW. Omega-3 fatty acids in major depressive disorder. A preliminary double-blind, placebo-controlled trial. Eur Neuropsychopharmacol. 2003 Aug;13(4):267-71. Su KP, Huang SY, Chiu TH, et al. Omega-3 fatty acids for major depressive disorder during pregnancy: results from a randomized, double-blind, placebo-controlled trial. J Clin Psychiatry. 2008 Apr;69(4):644-51. Sublette ME, Hibbeln JR, Galfalvy H, Oquendo MA, Mann JJ. Omega-3 polyunsaturated essential fatty acid status as a predictor of future suicide risk. Am J Psychiatry. 2006 Jun;163(6):1100-2. Sumich A, Matsudaira T, Gow RV, et al. Resting state electroencephalographic correlates with red cell long-chain fatty acids, memory performance and age in adolescent boys with attention deficit hyperactivity disorder. Neuropharmacology. 2009 Dec;57(7-8):708-14. Turnbull T, Cullen-Drill M, Smaldone A. Efficacy of omega-3 fatty acid supplementation on improvement of bipolar symptoms: a systematic review. Arch Psychiatr Nurs. 2008 Oct;22(5):305-11. Vedin I, Cederholm T, Freund Levi Y, et al. Effects of docosahexaenoic acid-rich n-3 fatty acid supplementation on cytokine release from blood mononuclear leukocytes: the OmegAD study. Am J Clin Nutr. 2008 Jun;87(6):1616-22. Vedin I, Cederholm T, Freund-Levi Y, et al. Reduced prostaglandin F2 alpha release from blood mononuclear leukocytes after oral supplementation of omega-3 fatty acids: the OmegAD study. J Lipid Res. 2010 May;51(5):1179-85. Vercambre MN, Boutron-Ruault MC, Ritchie K, Clavel-Chapelon F, Berr C. Long-term association of food and nutrient intakes with cognitive and functional decline: a 13-year follow-up study of elderly French women. Br J Nutr. 2009 Aug;102(3):419-27. Virtanen JK, Mursu J, Voutilainen S, Uusitupa M, Tuomainen TP. Serum omega-3 polyunsaturated Fatty acids and risk of incident type 2 diabetes in men: the kuopio ischemic heart disease risk factor study. Diabetes Care. 2014 Jan;37(1):189-96. doi: 10.2337/dc13-1504. Wurtman RJ, Cansev M, Sakamoto T, Ulus IH. Use of phosphatide precursors to promote synaptogenesis. Annu Rev Nutr. 2009;29:59-87. Wurtman RJ, Cansev M, Ulus IH. Synapse formation is enhanced by oral administration of uridine and DHA, the circulating precursors of brain phosphatides. J Nutr Health Aging. 2009 Mar;13(3):189-97. Yurko-Mauro K. Cognitive and cardiovascular benefits of docosahexaenoic acid in aging and cognitive decline. Curr Alzheimer Res. 2010 May 1;7(3):190-6. Zaalberg A, Nijman H, Bulten E, Stroosma L, van der Staak C. Effects of nutritional supplements on aggression, rule-breaking, and psychopathology among young adult prisoners. Aggress Behav. 2010 Mar;36(2):117-26. Bonjour, excellente vidéo comme d’habitude très très instructive!! Bonjour Benjamin, tout d’abord, merci pour toutes tes infos. Est ce que les semi conserves de rollmops ont elles les mêmes apports en oméga 3 que le poisson frais, sachant que le hareng en mariné dans du vinaigre et que la conserve est en verre? Il y a forcément un peu d’oméga-3 qui part dans le liquide mais ça va, si la conserve est protégé de la lumière aussi. Est ce que les sardines, les harengs et maquereaux en conserve ont les mêmes qualités nutritives que leur version en poisson frais? Les sardines et maquereaux en conserve sont précuits avant, et perdent donc une partie de leurs graisses. Après le problème va surtout venir de l’huile et/ou de la sauce avec, car une partie des oméga-3 va partir dans l’huile et être perdue. 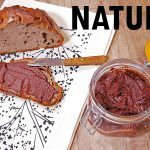 Donc idéalement il faut les prendre au naturel, au pire avec de l’huile d’olive et en récupérer une partie (et donc qu’elle soit de très bonne qualité). Dernier point : les conserves ont en général un revêtement interne avec du bisphénol-A, d’où le fait de ne pas trop en consommer souvent. Il existe parfois des conserves en bocal en verre sinon (j’en ai dans mon Biocoop par exemple). Pour toutes ces raisons, il est parfaitement possible de consommer des sardines en boîte mais je n’en ferais pas l’apport exclusif de poissons gras. Bonjour, est -il recommandé de faire cuire l’huile d’olive pour chauffer des aliments dans la poele? Il faut juste la privilégier pour les cuissons douces (ne pas dépasser son point de fumée) et l’assaisonnement, et l’huile de coco pour les cuissons plus vives. Et merci pour tous ces conseils. Pour moi vivant à la Réunion, pas toujours évident de mettre en pratique faute de trouver les produits ou alors très chers mais cela permet de faire des choix plus justes. En fait pour bien manger, des produits de qualité il faut devenir chasseur pécheur ! dans la mesure ou tout ce que nous propose la société industrielle de consommation ne sont que des produits pollués par des produits dangereux pour notre santé, la vidéo est riche d’enseignement . merci pour cette vidéo que j ai beaucoup apprécié !!! vous serait- il possible de nous faire des tableaux très schématiques de vos propos afin de pouvoir les imprimer et les garder sous les yeux !! J’ai ajouté en-dessous de la vidéo le résumé écrit. Excellent! J’adore le poisson et me demandais justement si ça n’était pas trop dangereux d’en consommer vue l’état des mers… Certaines recommandations officielles indiquent d’ailleurs de ne pas en consommer plus de deux fois par semaine! Mais avec cette vidéo on comprend, quels sont les poissons vraiment indispensables à la santé et à la fois les moins touchés par toutes sortes de pollution. On peut donc se remettre à manger du poisson, pour notre plus grand plaisir et sans peur! Petites questions, quid des autres poissons? Sont-ils tous à éviter? Ont-ils un intérêt nutritionnel qui ne puisse être comblé par ailleurs? Quels sont les poissons prédateurs à éviter absolument? Concernant le saumon et le poisson en général, tu penses quoi de la marque food4good (tu l’as cité d’ailleurs dans ta vidéo) ? J’en pense du bien, ce sont de bons produits. Vidéo et résumés très instructifs. Merci. 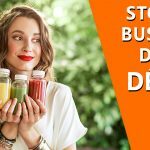 Que pensez-vous de l’huile d’onagre comme complément alimentaire? Bonjour et merci pour ces rappels très instructifs que je pratique depuis plus de vingt ans, convaincue, à l’époque, par le docteur Katrina Kousmine. Atteinte d’une polyarthrite rhumatoïde sévère, quasiment grabataire il y a vingt ans, je suis capable maintenant de rentrer sous abri 12 stères de bois ! 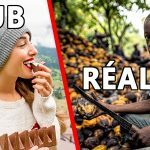 Grâce un régime alimentaire tel que vous le décrivez. 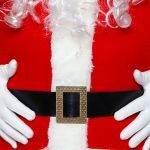 Mais il serait nécessaire de préciser que les huiles ne sont riches en oméga que lorsqu’elles sont pressées à froid, non décolorées ni désodorisées ce qui est le cas pour les huiles non bio ! Peut-être que vous pourriez couper (?) comme, par exemple, pour le saumon, faire une vidéo plus courte à propos des Omega et une autre sur le saumon ! Non ? Excellente vidéo, je me posais la question depuis longtemps vu que j’en consomme beaucoup. Je varie depuis quelques temps justement avec d’autres poissons. Ce serait intéressant de connaître également leurs caractéristiques. Je crois que même dans le poisson, il faut varier au maximum : dos de cabillaud, thon, lieu noir en plus du saumon représente une bonne alternative au saumon pour le moment: facile également à cuisiner, rapide, sans arrêtes et enfin en général moins cher. 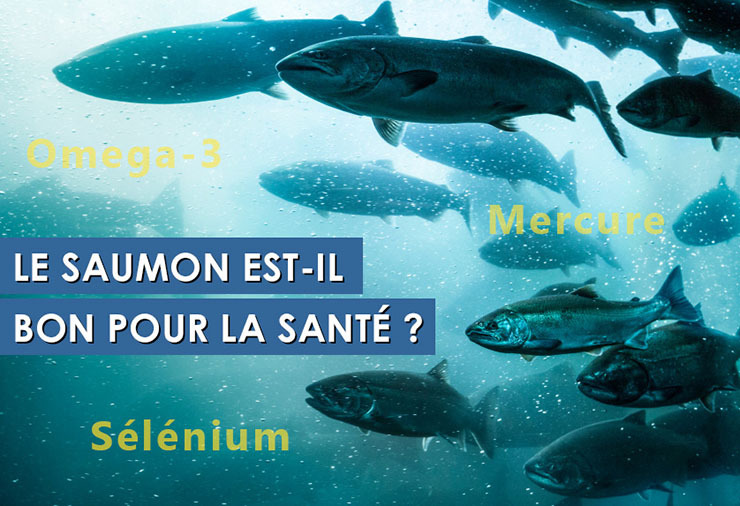 Peut-être par contre qu’ils possèdent moins d’omega 3.
faut-il les broyer pour une bonne digestion et cela est il aussi nécessaire pour assimiler les omega 3 ? je me pose aussi la question concernant les phytoestrogènes dont je ne savais pas la présence dans les graines de lin, car j’évite le soja pour cette raison car j’ai une fille de 2 ans et demi et le projet de future grossesse. du coup vaut-il mieux supprimer les graines de lin et garder celle de chia ce qui permettra quand même de garder un apport en oméga 3 ? 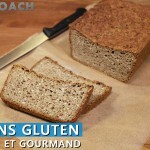 je met environ 20g de graines de lin pour un pâton de pain de 1,2kg ça ne parait pas excessif mais c’est peut être déjà trop ? et concernant les phytoestrogènes est ce le même soucis concernant l’huile de lin (idem que j’utilise en vinaigrette (1/3 avec l’huile d’olive idem 1/3) pour son apport en oméga 3) ? encore une question je souffre d’eczéma depuis toujours (déjà diminuer récemment grâce a des séances de magnétisme) mais j’ai toujours une tendance a avoir la peau sèche et également beaucoup la peau qui gratte idem pour le cuir chevelu ce qui se traduit en pellicule. en effet je mange aucun produit industriel qui apporte un surplus d’oméga 6.
est ce donc du a une carence en acide arachidonique ? si oui quel aliment ayant un bon apport pas excessif en oméga 6 faut il augmenter ? merci pour cette vidéo ainsi que les autres, c’est vrai qu’on a toujours du mal sur pas mal de sujet à trouver des informations concrètes ! ça en fait des questions 😉 Vous oubliez de me préciser l’essentiel : est-ce que vous mangez du poisson ou d’autres produits de la mer ? je ne mange pas de poisson à part les pétoncles et le filets de soles et le maquereau en boîtes. donc, je prends les oméga 3 en capsule. Je prends des poudre bio du genre Green de qualité ORAC qui contiennent des fruits, des légumes, des algues, etc etc etc. Je ne mange peu, et je serais du genre vitamines. Je ne suis jamais malade. La mère de ma femme a vécu jusqu’à 100ans, elle mangeait gras, ne faisais pas d’exercice, elle n’était jamais malade. Je crois que la santé c’est aussi une vision de nous-mêmes et une confiance et volonté d’arriver à ce que l’on désire. Parfois, je ne mange pas de la journée et je peux faire de l’exercice sans me fatiguer, je sens que mon énergie ne vient pas que la nourriture, il y a aussi d’autres forces en jeu. Je suis epaté par toute la somme de travail et de recherche qu’il a fallu pour monter cette vidéo, que j’ai regardé entièrement, avec un vif intérêt. On en retire pas mal d’enseignements et de bons conseils à utiliser dans une alimentation diversifiée et saine ! Merci pour cette vidéo qui me permet de mieux comprendre et de détresser car on entend de tout partout! Ca reste quand même complexe globalement de savoir si on est aux « bonnes doses » de tout…. Perso je suis fan des sushis, j’en mange toute les semaines et je les fais avec du saumon, si possible bio (congelé) ou frais (mais de supermarché ). Le saumon a t’il les même apport cru et cuit? J’entends aussi parler de problèmes digestifs a en consommer du cru, surtout pour les enfants, est-ce vrai? Les oméga-3 sont sensibles à la chaleur alors il faut privilégier les cuissons douces. Il n’y a pas de problème de digestion pour le cru mais un risque de contamination par des bactéries si le poisson n’est pas frais ou a été congelé et décongelé plusieurs fois. Merci Benjamin pour cette vidéo. Que pense-tu de la truite? La truite est un poisson assez proche du saumon au niveau du goût, et il existe des petits élevages de bonne qualité en France et à un prix raisonnable. Je ne mange presque plus de saumon. Les conserves belle-illoise sont pas mal aussi pour les sardines/maquereau. Sinon je mange du Colin d’Alaska surgelé qui a l’avantage d’être pêché directement en mer et congelé. Oui c’est pas mal aussi, il y a des oméga-3 en bonne quantité (truite saumonée). Si, c’est un peu comme pour le mercure, les polluants se stockent plus facilement dans les graisses et surtout dans les poissons en haut de la chaîne alimentaire. Donc les petits poissons (sardines, maquereaux, harengs, anchois…) restent des bons choix. Il faut bien sûr éviter les poissons péchés dans des zones polluées (par exemple la baie de Seine pour la France). Bonjour Benjamin et merci pour votre site et cette vidéo. Je me pose beaucoup de questions sur l’alimentation et malheureusement, on entend tout et son contraire. J’aimerais revenir sur le système digestif de l’homme. A la base, n’est-il pas fait pour une consommation de fruits et de racines ? Une vidéo sur l’évolution de l’alimentation au cours des millénaires serait très intéressante ;-). Le système digestif humain a-t-il évolué aussi ? Cela fait +2 millions d’années que l’on a évolué pour manger autre chose que simplement des fruits et des tubercules. J’en parlerai bientôt. Excellente vidéo comme d’habitude, merci encore. Comme Aurélie je me pose des questions sur le système digestif humain et plus précisément les combinaisons alimentaires et les modes de consommation de certains aliments, on peut lire beaucoup de chose sans forcément pourvoir démêler le vrai du faux. Par exemple, entre les partisans du régime recommandé par le PNNS avec ses recommandations en terme de composition des repas (féculent+légume+protéines) et ceux prônant qu’il ne faut pas consommer au cours du même repas féculents et protéines, ni manger de fruits juste après sans risque de fermentation. Bref, un sujet plein de questions en effet ! Du travail de pro, bien monté et appuyé par une tonne de référence scientifique. Bravo Benjamin. Bonjour, merci pour cette vidéo très interessante. Une question cependant, vous ne conseillez pas la prise de complément alimentaire en sélénium. Est- ce pour le risque de surdosage? Il peut y avoir des problèmes avec une supplémentation, apparemment avec le diabète notamment. De toute façon, elle n’a pas de sens car les quantités sont faciles à obtenir par l’alimentation. Merci pour cette vidéo très intéressante :). Quel suplément Omega3 à base d’algue conseille-tu ? Celu-ci semble pas mal, mais je ne sais pas ce que ça vaut niveau qualité. J’ai toujours peur qu’ils mettent dres produits étranges dedans. pourquoi déconseiller la consommation de margarine?Si elle est bio,équilibrée en oméga 6/oméga3,et ne contient pas de lait,cela fait il une différence?merci. Parce que même si elle a un bon ratio, la quantité absolue d’oméga-6 reste trop importante et elles contiennent presque toujours de l’huile de palme et de tournesol, huiles fortement traitées / filtrées. Mais non Marie-Eve, il ne faut pas voir les choses négativement, il y a beaucoup de facteurs à prendre en compte, les autres graisses ou les vitamines B sont aussi essentiels pour le développement cérébral. Mais même pour 2 mois, et surtout si vous allaitez ensuite, vous aurez tout à gagner à prendre un complément de DHA à base d’algues dans votre cas. ok, merci beaucoup en tout cas. Ps : votre programme de coaching est-il adapté durant la période d’allaitement ou est-il préférable de le suivre après cette période pour retrouver ligne et tonus? Il n’y a pas de contre-indication, à part le sport qu’il faudra garder pour plus tard bien sûr. 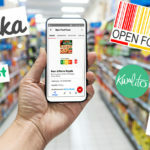 Après d’un point de vue pratique, c’est à vous de savoir si vous vous sentez de faire des changements alimentaires maintenant ou dans 3 mois. Conseilles-tu l’huile de colza qui a beaucoup d’oméga 3? 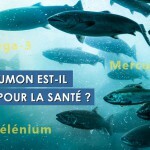 Que pensez-vous des compléments Oméga 3 Excellium de chez Ponroy, http://www.ponroy.com/produit/sante-anti-age/cardiovasculaire/omega-3-excellium, je viens d’en acheter 2 boites mais en lisant vos conclusions, je me demande si vraiment j’ai fais le bon choix. Je ne vois pas de vitamine E pour la conservation, s’il n’y en a pas, les oméga-3 prennent le risque de s’oxyder plus facilement. Actuellement j’allaite et ma sage femme m’avait conseillé pendant ma grossesse un complément de la marque LERECA, en oméga3 marins. qu’en penses-tu? Je vais modifier et augmenter ma consommation en saumon et autres poissons mais Est-ce que je peux conserver ce complément? ou bien le modifier pour un autre? Merci en tout cas pour toutes ces excellentes informations ! Il n’y a pas de problème mais ce n’est juste pas la même chose comme je l’explique dans la vidéo, on n’a les protéines, le sélénium, etc. donc il faut en tenir compte. Penses-tu que la supplémentation de chez nordic est supérieur à celle de chez nutrimuscle? Quel dosage prend tu de la première ou comment l’utlises- tu? Ils me donnent l’impression d’être d’excellente qualité mais le dosage journalier est-il suffisant? Merci pour votre travail, c’est d’une aide énorme pour la société! Une excellente année 2015 et longue vie à Naturacoach! Cela alourdit la prise, il faut prendre 2 gélules distinctes au lieu d’1 pour une huile de poisson. En vegan, je préfère le produit que je cite de chez Nordic Naturals où il y a DHA+EPA. Bonjour Benjamin et merci pour cette vidéo ! Question, importante je pense que j’aimerai te poser, même si tu as déjà évoqué la cuisson douce dans un commentaire précédent: Tu dis que les Oméga 3 sont très sensibles à la lumière et à la chaleur (les conserver au frais), tu as parlé aussi de la filière Bleu blanc cœur; Quelle température de cuisson supportent les oméga 3 ? donc les viandes et poissons qui en contiennent… ou bien, à quel mode de cuisson utiliser pour en prendre soin ? Acide arachidonique est que des gens qui ont des inflammations, doivent absolument diminuer les acides arachidonique dnas leur Nutrition. Merci d’avance de m’informer si vous aviez autre explications scientiques. Maintenant que le BPA est interdit dans les emballages alimentaires en France, faut-il toujours égoutter l’huile et l’eau des maquereaux et sardines en conserve en métal au naturel qui a décanté au fond de la boite ? Oui parce que les produits de remplacement ne sont pas mieux. Et merci pour ce site! J’ai beaucoup aimé cette vidéo l’année dernière. Me vient à présent une question au sujet des oméga 3: l’huile de lin contient-elle des phyto-œstrogènes? Bonjour ! Merci pour ta vidéo et tout le travail que tu fais ! J’ai une question concernant les graines de lin, j’ai vue qu’il en existais de différentes sortes : jaune ou brun ! Lequel choisir/privilégié? Quelle est la différence entre graine de lin jaune et brun ? Vidéo excellent. Pourquoi dis-tu que pendant l’allaitement la femme doit arrêter le sport? bjr, quand vous dites : diminuer sa consommation de céréales …. parles t’on du riz, du sarazin, du maïs, du quinoa, de l’amarante ?? ce sont des céréales beaucoup consommés par les végétariens…. hello, moi aussi je dois dire que cela m’intéresse l’histoire des céréales car j’en consomme 5 jours sur 7 sarazin, riz, quinoa, amarente….est ce que natura coach réponds aux questions ?